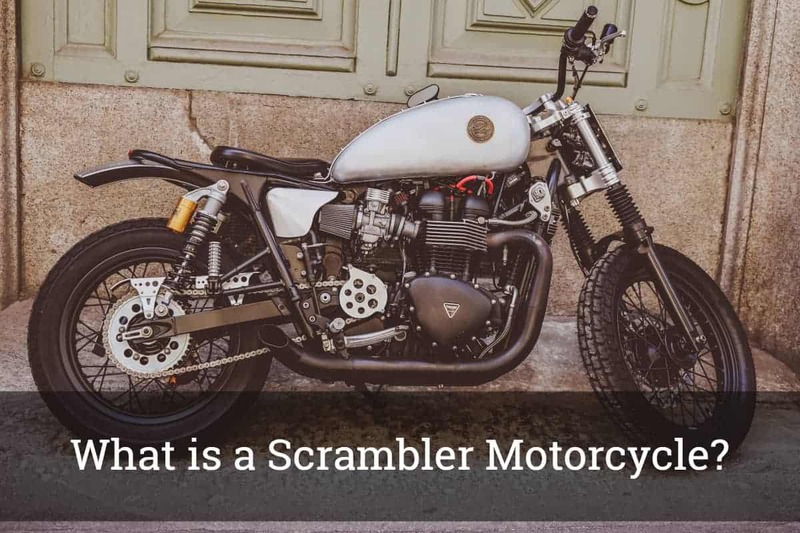 / What is a Scrambler Motorcycle? It would be a challenge to describe what a scrambler motorcycle really is. Honestly, it is a type of bike that is not at all easy to give a clear explanation on. However, one thing is certain – it is a motorcycle specifically built for street and off-road use. The term “scrambler” was widely used during the 1950s and 1960s to describe a street motorcycle suitable for off-road use. In this post, we will be talking about what a scrambler motorcycle is. In addition, we are also going to discuss its history, its differences to a dirt bike, its evolution in the last decades, and how modern scramblers look like now. This is a very interesting topic, especially if you are a motorcycle enthusiast. While it does look old, it does give a vintage style, suitable for off-road use as well. What Happened to Scrambler Motorcycles in the Recent Years? 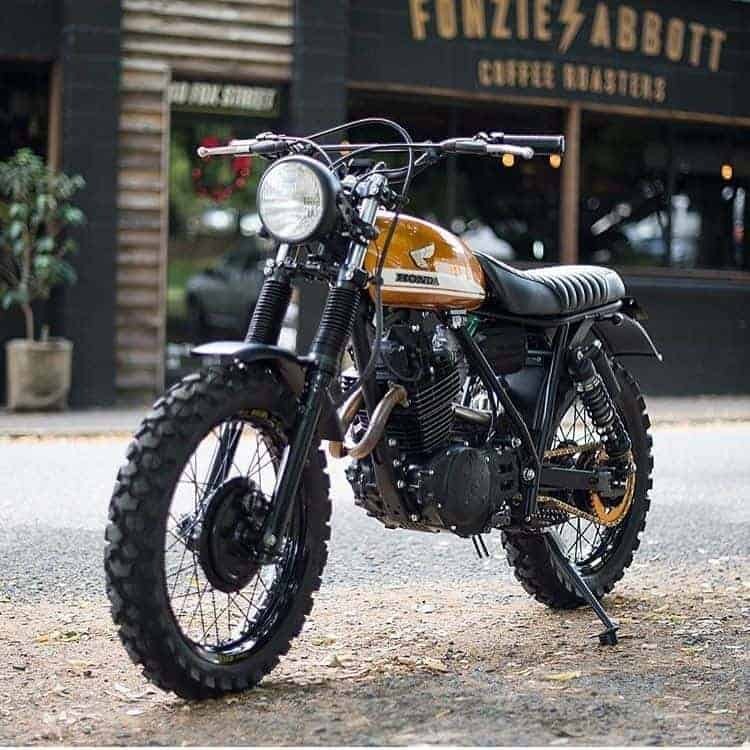 How Do Modern Scrambler Motorcycles Look Like? A scrambler motorcycle can either be an on-road or an off-road motorcycle. Also known as dirt bikes, off-road scrambler motorcycles are specialized bikes designed for off-road sports, as well as off-road events. By simple terms, “off-road” means a road that is not paved or those that are not conventional. Off-road scrambler motorcycles are very simple in terms of design. It is also lightweight, has long suspensions, and sturdy bodies. In addition to that, they do provide a high ground clearance. In case you are not familiar, the off-road scrambler motorcycles normally have 21-inch front wheels and 18-inch rear wheels. Scrambler motorcycles were first intended for American use. However, its use also became popular in Europe. These motorcycles have been continuously modified since it has been created up until 1968. Interestingly, the very first version was 250cc while the second was 350cc. starting 1968, the third version of the scrambler motorcycle with 450cc was already out on the market. The original scrambler motorcycles would look a lot like café racers, in which club racers in the early 20th century would modify the standard motorcycles to be able to cater to extreme racing conditions. 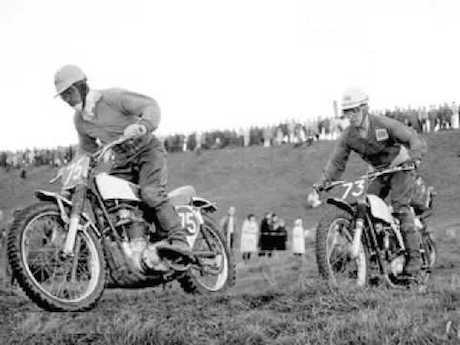 In fact, café races would also mean that riders drive through mud, fields, streams, and other off-road tracks. First scrambler motorcycles include bikes that come with “Desmo” cylinder heads, in which technical alternations continued until the year 1974. After that time, the production of the scrambler motorcycles has ceased. While they did not offer speed, these motorcycles had excellent frames and a rugged engine that served its purpose well. In addition to its great visuals, its center riding position was also very popular, making it a delightful motorcycle to ride at the time. It came in bright colors, as well as a chrome gas tank, which added a more stylish appeal. It was also considered a balanced motorcycle with its American and European characteristics. Since scrambler motorcycles are often associated with dirt bikes, it would be essential to be able to differentiate one from the other. Dirt bikes come in various chassis dimensions and engine sizes, which can be specifically made for a wide range of riders. It can be used by kids, elders, whether novice or professional. These dirt bikes can be classified as Enduro, Motocross, Trail, Supermoto, Dual Sport, Trials, and Mini. In fact, popular dirt bikes are manufactured by Honda, Suzuki, KTM, Kawasaki, and Yamaha. Scrambler motorcycles are considered old bikes. During the last decades, it was slowly being replaced by motocross bikes because they are mainly utilized in motocross events. These motorcycles were often used on short, closed off-road tracks, which interestingly, have several obstacles to make the sport even more fun and challenging. Motocross motorcycles are lightweight and have a small fuel tank. Their long travel suspensions allow the riders to take jumps, even on high speed. Motocross engines normally come with a cylinder and are generally 2-stroke or 4-stroke. They also come in various sizes, ranging from 500cc up to 650cc, mainly used in freestyle motocross events and competitions. In addition, scrambler tracks were also heavily modified to cater to today’s MX tracks that come with massive starters and jumps. With this, the term “scrambler” has returned after a long break, much like an old-fashioned motorcycle coming back on the tracks after several decades of being dormant. After learning that scrambler motorcycles have been gone for several decades, how does a modern one look like now? A modern scrambler motorcycle would be best described as a bike with a high pipe and MX bars. It also comes with either knobby or semi-knobby tires, which have knobs that provides more traction on surfaces including mud, gravel, loose dirt, and sand. Modern scrambler bikes have longer travel suspension that will be able to dampen the effects of rough off-road riding situations. Interestingly, the Triumph was the first motorcycle manufacturer to reintroduce the Scrambler in 2006. It was a big hit that Ducati also manufactured the scrambler starting 2015. Ducati, with its Scrambler reintroduction in 2015, targeted the young riders. The company made several modifications but went back to the single-cylinder 350cc and 250cc models. Nowadays, its icon would look like a well-polished aluminum fuel tank cover that also comes with the dirt bike-style handlebar with the seat and tires. Today, scrambler motorcycles are very popular, especially in the customized bike scene. More and more manufacturers are catching on with the craze, as well. Several motorcycle companies are not releasing great-looking scrambler models that you buy right away, even off the showroom floor. Now that we have reached the end of the discussion, we hope that we have shed some light on what a scrambler motorcycle is, considering that it has resurfaced in the last decade. It might be difficult to understand at first, but with the detailed description that we have provided, we hope that you will be able to distinguish it apart from other popular motorcycles today.